Fun With Puzzles Brain Teasers Brain Test IQ Test Kids Puzzles Picture Puzzles Puzzle Videos Puzzles Puzzles for Teens HOW MANY SQUARES? This is very interesting and famous count the squares picture puzzles. In this picture puzzle, your challenge is to count the number of squares in the given puzzle image. 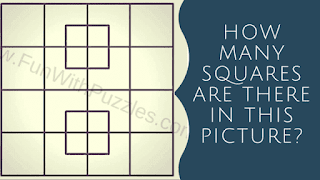 Before you start solving this count the squares picture puzzle, please do remember that all squares are rectangles but all rectangles are not always squares. So, your challenge is to count the number of squares in this picture in the given 20 seconds. You can pause the video in case more time is required to solve this picture brain teaser. 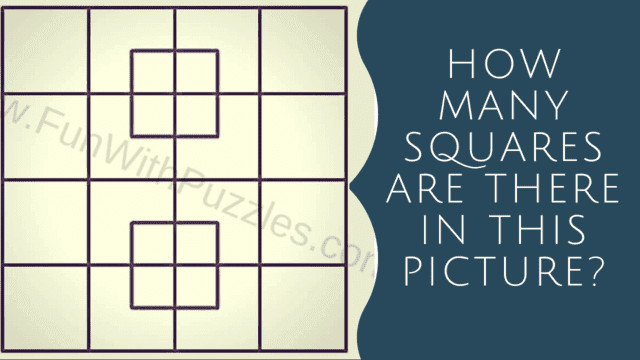 Can you count how many squares?